MISSION ESL COMPUTER LAB: "An Amazing Collection of Orchids"
"An Amazing Collection of Orchids"
BARBARA KLEIN: This is SCIENCE IN THE NEWS in VOA Special English. I’m Barbara Klein. STEVE EMBER: And I’m Steve Ember. Today we tell about the beauty and science of orchids, some of nature’s most interesting flowers. BARBARA KLEIN: Many people think of orchids as beautiful, sweet smelling, costly flowers that grow in hot tropical forests. But that is not the whole story of orchids. Some of the plants are found above the Arctic Circle. Some have an unpleasant smell. Not every species is lovely. And if you want to buy an orchid, it will cost a lot less than it once did. Orchids are among the most common plant groups in the world. But some orchids that grow naturally are in danger of disappearing from Earth. At the same time, orchids produced in factories have become an important greenhouse crop. 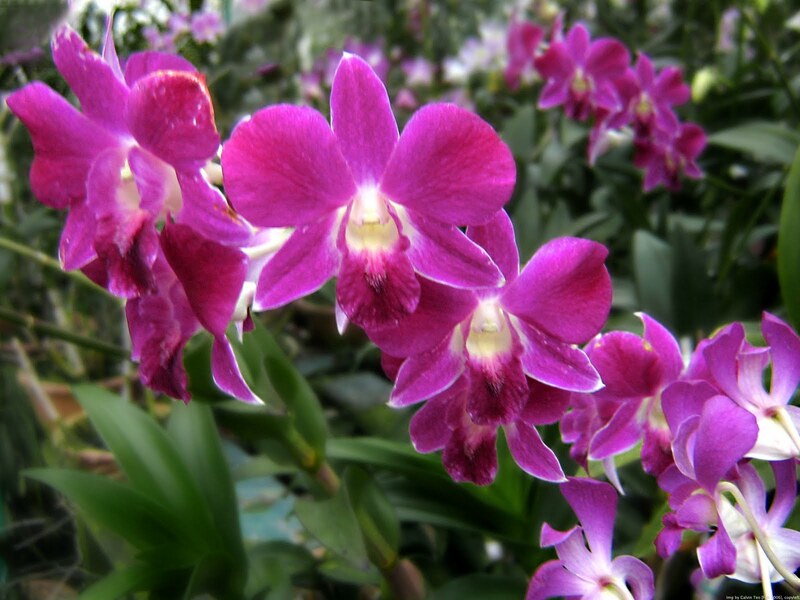 Orchid industry sales are especially important to places like the Netherlands, Singapore, Taiwan and Thailand. People enjoy orchids as decorative plants and cut flowers. STEVE EMBER: Orchids come in all shapes, sizes, designs, colors and color combinations. The flowers may be tiny or large. But most have some common characteristics. The sepals of an orchid form the outside of the bud before the flower opens. There also are two regular petals. The third petal is the lip. Orchids share this structure with lilies and irises. For reproduction, orchid flowers have male and female parts joined into one structure. The structure is called the column. The column is the most important quality that identifies the orchid family. Not all orchids grow from the ground. Some are “air plants” that grow on trees. Unlike parasites, however, they do not rob the trees of nutrition. Among the many visitors, Tonya Johnson came to the exhibit with young children from the Shabach Christian Academy in Landover, Maryland. She helped the children make discoveries about orchids. STEVE EMBER: Live orchids form a rainbow of colors in the Botanic Garden’s conservatory building. Orchid plants are blooming out of pots, climbing on trees or overflowing from baskets among the garden’s permanent collection. The world has an estimated twenty-five thousand kinds of orchids. A big blue globe near the opening of the exhibit shows places where orchids grow. The number of species in an area is written near its name. For example, Costa Rica has one thousand five hundred species. The United States has seventy. The far northern nation of Greenland has four. BARBARA KLEIN: Signs and overhanging banners help tell the stories of the plants on exhibit. Some of the orchids look like insects – butterflies, bees or spiders. Others look like stars, cups or lighted fireworks. A colorful figure of a dragon with big teeth attracts attention to information about orchids in Sri Lanka. Orchids play an important part in special events in that country and on that country’s money. One banner shows the flowers on Sri Lanka’s one-hundred rupee note. Another banner shows delicate orchids on a five-dollar note from Singapore. STEVE EMBER: Many visitors to the exhibit say they recognize some common orchid plants. The Cattleya, for example, gets a lot of attention. The flower is sometimes called the corsage orchid. People wear the cut flower on clothing to celebrate special events like birthdays or Mother’s Day. There are many species of Cattleya. Most come from the treetops in wet tropical forests in Central and South America. They need warm temperatures to grow well. BARBARA KLEIN: The Cattleya probably owes its existence to William Cattley, a British botanist. In eighteen eighteen, Cattley saved the orchid plant from being thrown away. At the time, the plant was used as packing material that protected other orchid plants arriving from Brazil. Cattley succeeded in getting the unknown plant to flower. Later another botanist named it the Cattleya in his honor. People often describe the deep color of the Cattleya lip as “showy.” But this part of the flower provides more than beautiful appearance. It serves as a landing area for bees and other insects that spread pollen to the plant. The colors and design of the lip help attract the insects. STEVE EMBER: The nun’s orchid has an interesting name and shape. Not surprisingly, the flower looks like the head covering worn by some female Catholic religious workers. The nun’s orchid came first from China. It reached the United States in the eighteenth century. The flowers can be big, up to almost thirteen centimeters across. Some are brown with a lip that looks purple. Other possible color designs include yellows, reds and browns. The vanilla orchid also has an interesting form. The fruit is inside the seedpods of its thick leaves. The leaves grow on tree trunks. 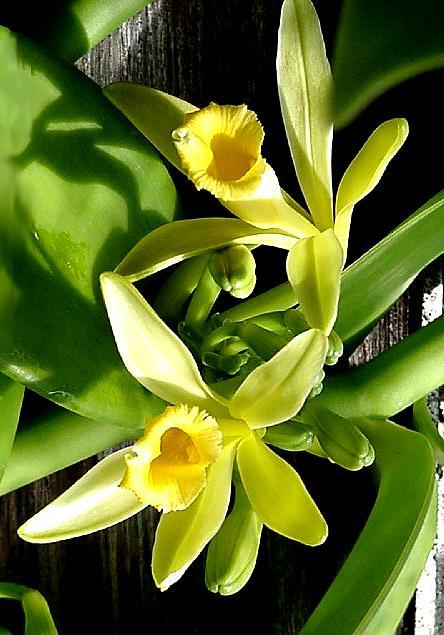 Extract of vanilla provides a spice used in foods. The tiny dark dots in vanilla ice cream are from the seedpods of the vanilla orchid. The orchid grows in the rain forests of Mexico. 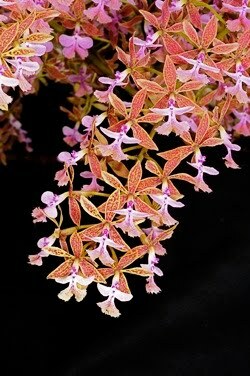 It also grows in Madagascar, South America, Central America and warm areas of Asia and Africa. BARBARA KLEIN: It is illegal to collect orchids growing in nature. But poachers often do so. And orchids reproduce with difficulty. They depend on birds, bees or insects to spread their pollen to another orchid flower. Some orchids trick their pollinators. Such plants produce a smell that attracts pollinators not normally attracted to them. Other orchids trick male flies by making themselves look like female flies. Still others temporarily trap a pollinator. The action forces the insects to touch the orchid pollen. They pick it up on their bodies and carry it to another flower. Once the second flower is fertilized, seeds begin to form. Orchid seeds grow slowly. Sometimes they take months to develop inside the seedpods. The very small seedpods contain as many as three thousand seeds. The seeds float in the air when the pods break open. But they do not begin growing just anywhere. STEVE EMBER: The seeds need to be near what is called a mycorrhizal fungus. The seeds lack nutrients, and the fungus feeds them. But the fungus is rare, and some of its habitats are threatened. Human development or natural disasters can change that environment. The orchids cannot reproduce if birds and insects are no longer living in the area. He says loss of forests and climate change are part of the problem. Mister Mirenda also says very little money is available to help orchid conservation. He says financing is seriously endangered, like the orchids themselves. BARBARA KLEIN: Today, science and technology can produce orchids in large numbers in greenhouse settings. In nineteen seventeen, Cornell University scientist Lewis Knudsen found that under certain conditions, the fungus was not needed. He discovered that seeds or spores could grow if the seed could develop in a special preparation. The preparation had a sugar base and was similar to gelatin, a food product. The method was put into use a few years later in greenhouses. Seed germination in sterile nutrients is now a common way to reproduce orchids. STEVE EMBER: Mericloning also is a common modern method. The process calls for culturing from the merismatic tissue on a plant. Active growth takes place in that area. In the process, a small piece of tissue is taken from a high quality orchid. The tissue is made into tiny pieces and grown in a laboratory. 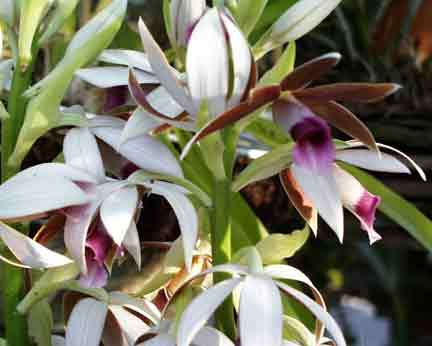 Many exact copies of the orchid are produced. Whether grown naturally or through technology, people who love orchids say they are the most beautiful flowers on Earth. BARBARA KLEIN: This program was written by Jerilyn Watson . Our producer was Brianna Blake. I’m Barbara Klein. STEVE EMBER: And I’m Steve Ember. Go to our Web site, voaspecialenglish.com. You can comment on this story and other programs. You can share your thoughts and read what other people are saying. You can also find transcripts, MP3s, podcasts and captioned videos. Join us again next week for another program about science in Special English on the Voice of America. 1. 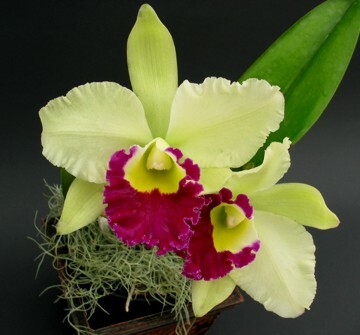 The Cattleya is named after a _________________________ . 2. A poacher is someone who ________________________________ . 3. Cornell University scientist Lewis Knudsen discovered a way to grow orchids ____________________ . 4. All orchids ______________________________ . 5. Mericloning is method for producing an orchid in the laboratory by ____________________ . 6. Orchids decorate the currency of the country __________________ . 7. A parasite that grows on a tree ___________________________ . 8. 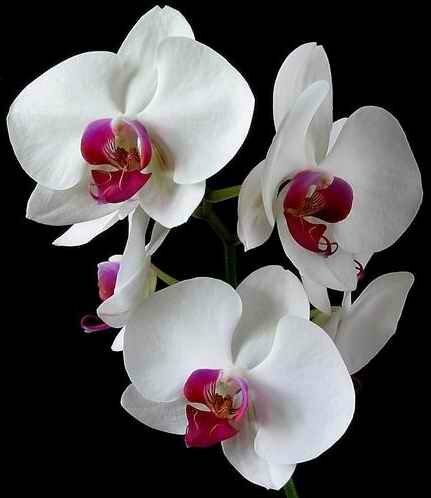 The most important quality that identifies the orchid family is _____________________ . 9. Orchids need to attract insects because insects ______________________ . 10. A corsage orchid is one which __________________________ .